Is a Water Heater Expansion Tank Necessary? This entry was posted in Water Heaters on June 21, 2016 by . We’ve been getting more and more of our clients asking us whether a water heater expansion tank is necessary or not. The short answer: maybe. Should you get one? Probably so. In order to understand why a water heater expansion tank might be necessary for your home or business, you’ll first want to understand what the expansion tank does – and then the tell-tale signs that you need one. The purpose of a hot water heater expansion tank is to help eliminate changes in water pressure. Not only is fluctuating water pressure annoying for you, but it’s also really bad for your water heater and your entire plumbing setup. Your expansion tank is just a small water tank (usually with about a 2 gallon capacity) that is mounted near your current water heater and connected to the water line. 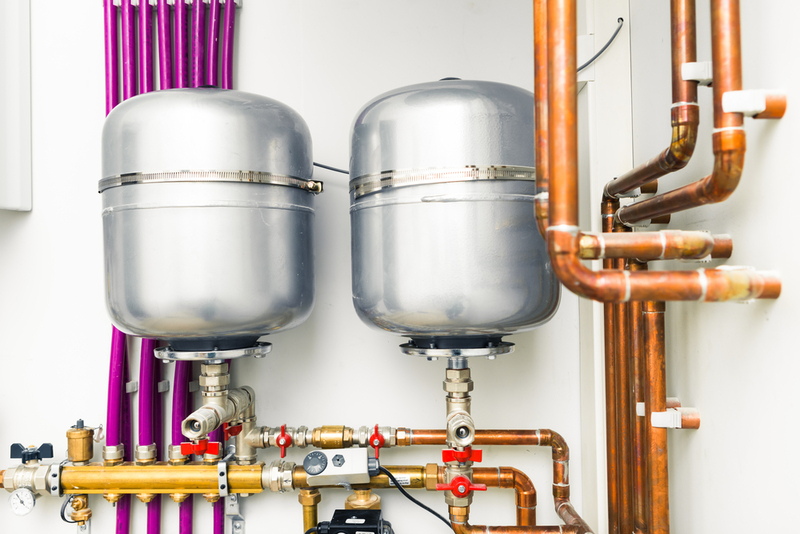 So how does a hot water expansion tank work? When your main water heater warms up water, the water is going to expand (that’s just something that happens as water heats up). With nowhere for the excess water to go, pressure will quickly build up within your water heater – and that’s bad news. More pressure means more stress on your water heater, your pipes, and other fixtures connected to your plumbing. That’s where the hot water expansion tank comes in. The expansion tank gives the excess hot water a place to flow into, eliminating unnecessary stress on your hot water heater and saving you from inconsistent hot water pressure. If you have a closed system. If you have a pressure regulating valve or a check valve. If you have noticed fluctuating high and low water pressure. If your local city codes require you to have an expansion tank. If you want your water heater to last as long as possible. Is a Water Heater Expansion Tank Required by Law? So is a water heater expansion tank necessary according to the law? Yes – sometimes. If you have a closed system, then you’ll likely be required to install an expansion tank. Even if you do not have a closed system, asking about a water heater expansion tank is still a great idea. You can usually get an expansion tank for under $50. If you’re wondering if a hot water expansion tank is necessary for your home or business, it doesn’t hurt to ask your local plumber the next time you have a water heater installed or repaired in San Diego.